Different Names of Pearl Gemstone that has the energies of the planet moon as per Vedic Astrology texts is the White Natural pearl. The Moon is white, calm and beautiful and the Natural pearl should have these basic attributes to qualify as a Moon Gemstone. Natural Pearl Gemstone is excellent an Gemstone for those having Cancer Moon Sign/ Kark Rashi per Vedic Astrology. 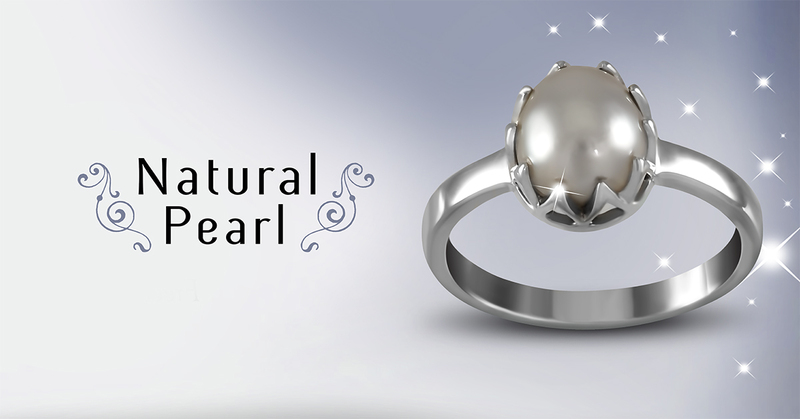 Featured today is an exceptional Natural Real Pearl Set Cost of 3.33 carats set in silver ring. The total number of natural pearls estimated in the world is only 3 % and when you talk of Jyotish Quality the number becomes even lesser. It should be of a pleasing shape. The Real Pearl Price in India, featured today is totally round and this kind of symmetry is rarely seen in Natural Pearls. This is what makes Jyotish Gemstones so special. It should be white in colour with no blemishes on the surface; The Pearl featured today is pristine white with a flawless surface. It should have a shine and lustre. Even though the pearl is an opaque gemstone fine quality pearls exhibit a beautiful shine and lustre on the surface. Jyotish Pearl Gemstone is miraculous and gives those promised benefits and results. What you have in front of you is one amongst those rare pearls. It is tremendous good fortune to posses even a 1 carat Natural Pearl Gemstone that is Jyotish Quality. Comments Gemologists notes please refer above. 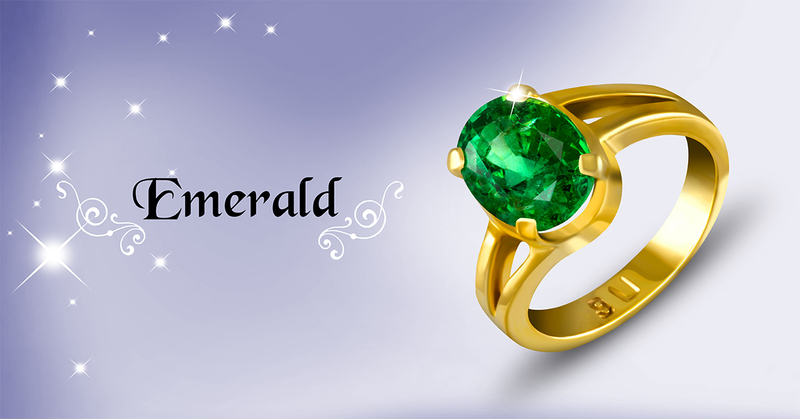 Different Names of Emerald Gemstone in Sacred texts and in common use. Featured today is an exceptional Zambian Emerald ring with a fantastic deep colour. This gem is the personification of Mercury energy. Deep rich color, great lustre, excellent clarity and powerful aura. A green that can stimulate creative expression, innovate and can create wondrous marvels from simple ideas! Deep rich emerald green color is the hallmark of this premium Zambian emerald. Fully natural and treatment free, this is truly a gem that can work wonders with respect to harnessing the energy of Mercury for planetary gem therapy or gemstone healing. 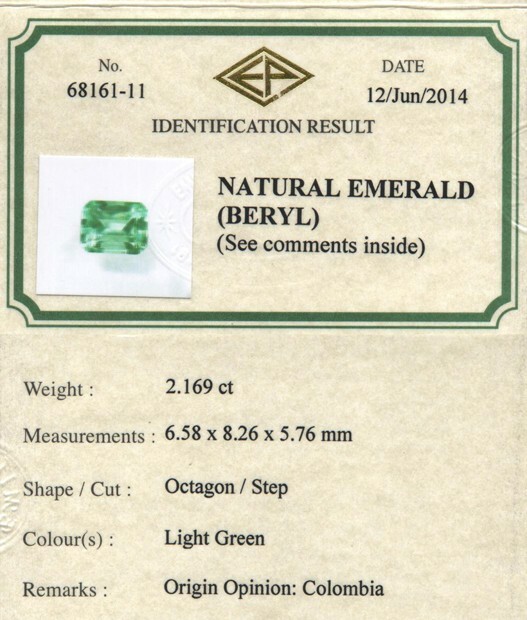 This Zambian emerald is a premium offering from Gemstoneuniverse – a part of the new parcel of gems – DHANYA 2013. Just like its name, this has the abundant energies of Mahalakshmi and promises manifestation of abundance. This Gemstone was first listed in September 2013 but it is now only it has reached its destined owner despite being viewed by several viewers online daily. 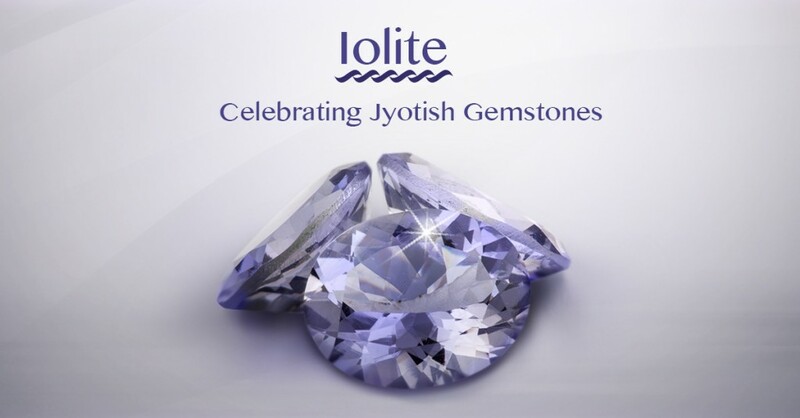 Contrary to the general view True Jyotish Gemstones that deliver results are very special, rare, and not easily available and choose their owner. Let your cherished gemstone choose you. What is the Golden Canary Yellow Colour in Yellow Sapphires? Golden Canary Yellow Sapphire Infinite Intelligence ring. The most brilliant and sought after colour in natural yellow sapphire is called as Canary Yellow or Golden Canary Yellow. It is a vivid, brilliant sparkling Yellow with a high saturation. The color finds its description and roots from the Yellow Canary Bird. The yellow canary (Serinus flaviventris) is a small bird in the finch family. It is a resident breeder in much of the western and central regions of southern Africa and has been introduced to Ascension and St Helena islands. 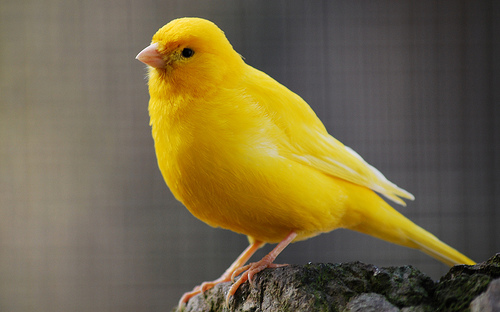 Most of the yellow canaries are typically 13 cm in length. The color of the adult male canary is a brilliant bright yellow that is called as the Golden Canary Yellow Colour and this is the most sought after colour in Natural Yellow Sapphires. Colored Gemstones are mostly about the intensity and purity of color and like in this ring for example all Yellow’s are not created equal or are not equally pleasing. See the brilliant Golden Canary yellow colour in this natural and unheated yellow sapphire. At clarity over 95% and an excellent cut the light play looks miraculous over its various facets and gives the impression of it having liquid gold inside the Yellow Sapphire crystal. The ring has a contrast of 18K White Gold and Yellow Gold. The Yellow Sapphire is surrounded by 16 petals that indicate blossoming of infinite intelligence and the dawn of self realization. 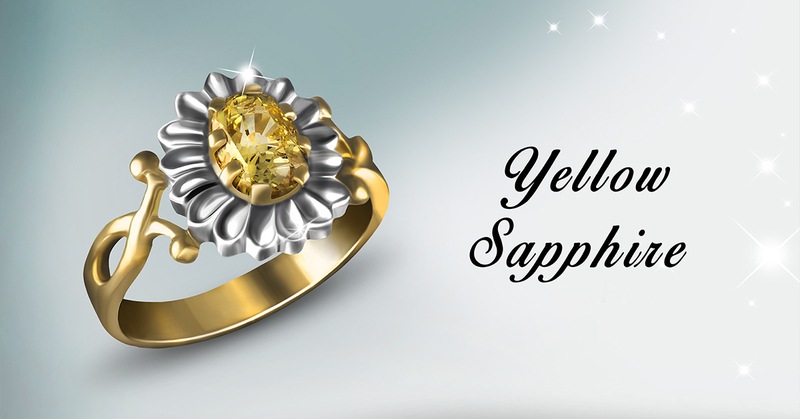 View the video in HD to experience this beautiful Yellow Sapphire ring. It is features such as this that makes Jyotish Gemstones very special and delivers the best results. 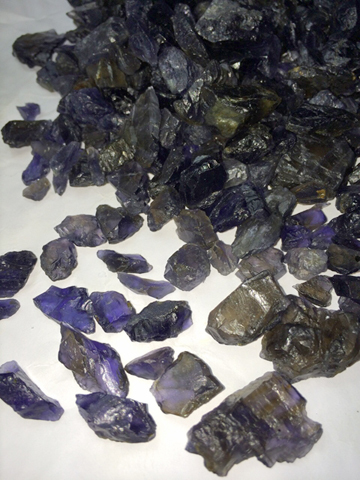 Premium Calibrated Iolite Gemstones for Gemstoneuniverse patrons. – Has a pleasing top Royal Bluish Violet to Deep Royal purplish blue colour. Lovely hues of blues. 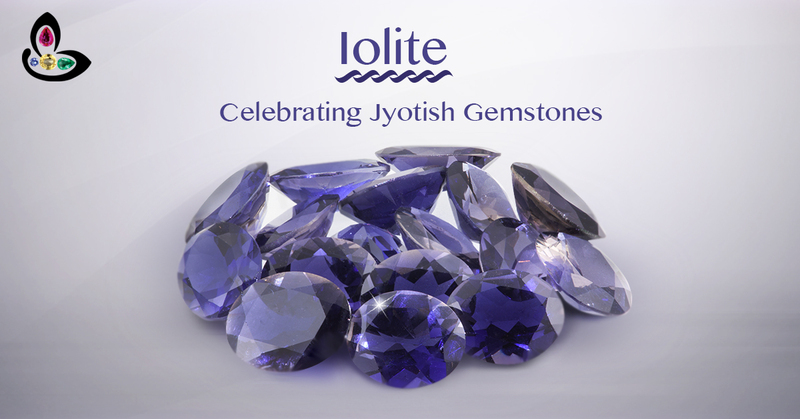 Despite Iolite being a strongly pleochroic Gemstone the Blues just shine through and every single gemstone has a unique sparkle, shine and glitter. – Excellent cut allowing for maximum scintillation, shine, lustre and maximum play of light. Cut from our own rough so you are guaranteed unmatched price. 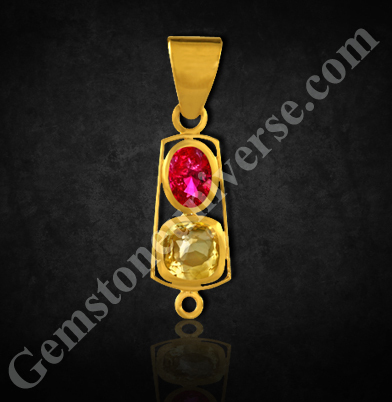 – Most of these Gemstones are cut in the aesthetically pleasing calibrated sizes of 8*10,10*12,9*11. These sizes are sough after sizes in most premium jewellery. – The Clarity is exceptional with most gemstones having a clarity level of 95% and above. These Gemstones are at the apex of the Gem Pyramid and rarely reach normal retail. – Free from any flaws as listed in scared texts making them true Jyotish Gemstones capable of delivering results that only Jyotish Gemstones are capable of. – Natural, earth mined Iolite Gemstones from Madagascar. Your Gem therapy should be absolutely error free with no guess work as per the guidelines given in Do Gems Work- No They Don’t for 90% of the people– We ensure that. Gemstone Certification and appraisal of these lots are complete and you can find them in the Iolite online inventory in the next 7 days or earlier. The most famous and desirable emeralds come from the Muzo, La Pita, Chivor and Cosquez mines in Colombia. The color shades of a fine Colombian emerald range from a fine leafy bluish green to a fresh grassy green and a range of yellowish green shades because the trace element causing color in the Colombian Emerald is Chromium. In this modern age the Colombian emerald ring is primarily used for engagement rings is the ultimate expression of love and style. Emerald gemstones that make it to the exclusive club status score high on the classical 4C’s of Cut, Color, Clarity and Carat weight. The setting of the ring makes a great impact on the Emerald color as it appears to the naked eye. A bezel setting of Emerald makes the color look deeper with high saturation as it controls the reflection of light and does not allow scattering of light. 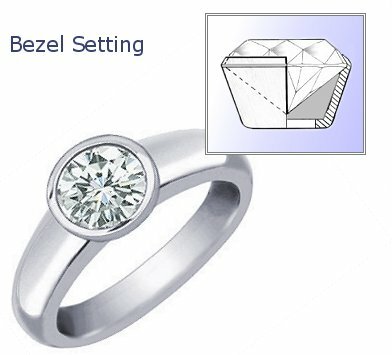 However In a prong setting the gemstone looks more lustrous with a higher movement of light through its facets. Featured today is an exquisite Colombian Emerald ring. 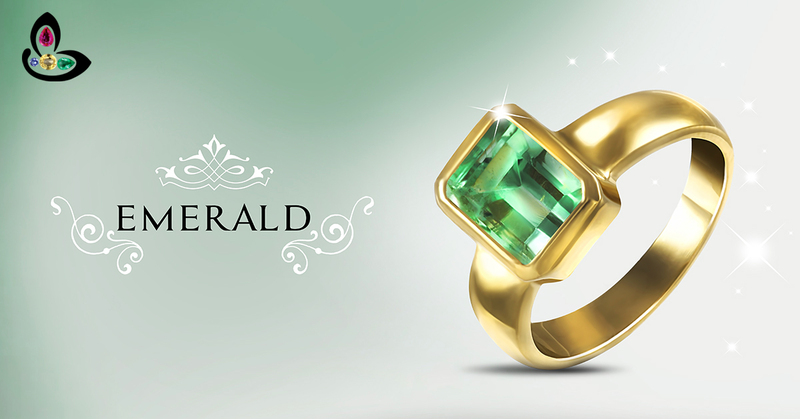 Notice the fine colour spread equally in the Emerald crystal. The single outstanding feature of this Emerald is the high emerald clarity that is very difficult to come by in Natural Emeralds. The bezel setting adds to the depth and character of the Emerald and the rich contrast of 22K Yellow Gold adds to the drama and allure of this Emerald. 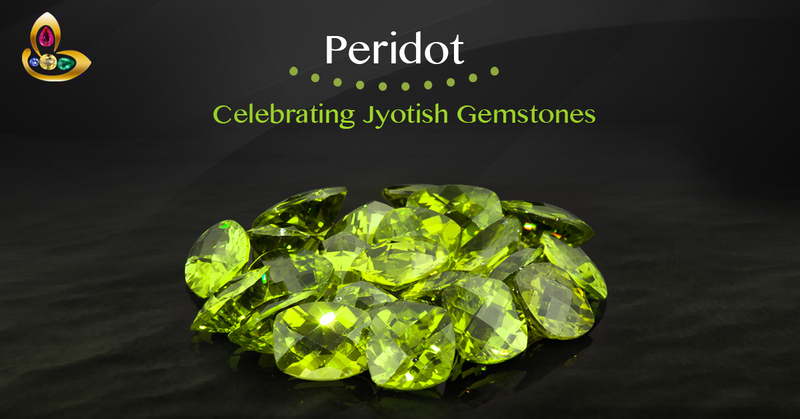 Peridot Gemstone belongs to the mineral group forsterite and is blessed with a rich olivine green to yellow green resplendent and open colour. 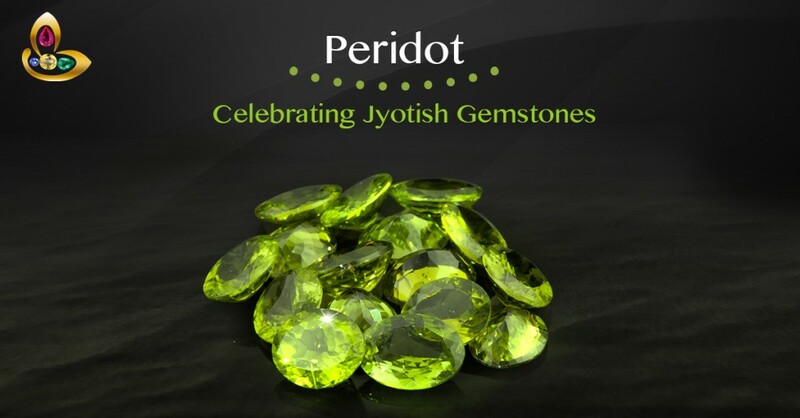 Peridot is the best semi precious alternative/ Uparatna to be used in place of Emerald. Ruled by Mercury the Peridot Gemstone blesses one with intelligence, good communication, flair for business and finance and good health. 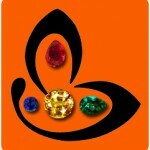 Conventionally known as the August Birthstone it is the semi precious gemstone for Mercury powers in Vedic Astrology. – Exquisite Precision cut from fine checker board cushions to top large hearted calibrated ovals. 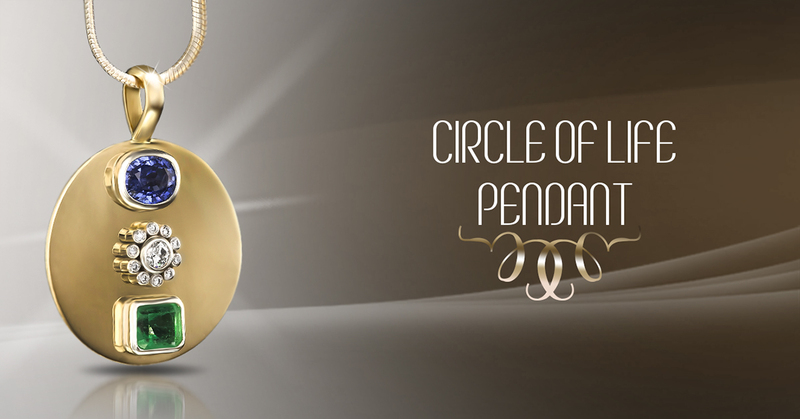 The cut and the size is used in fine top of the line jewellery worldwide. – The cut is electric and scintillating and gives maximum movement of light. 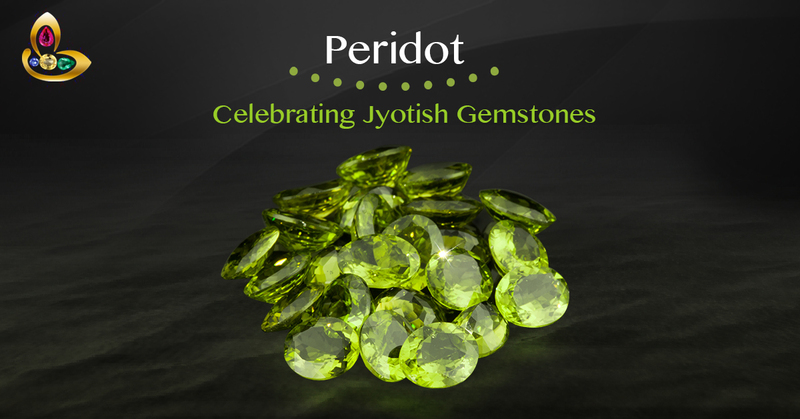 Check video to see how light passes through every facet of the Peridot to give it that mesmerizing lustre. – The Colour is Deep Rich Olivine Green- It’s the color shade that is at the apex of the Gemstone pyramid. – You are assured of getting the topmost quality. This quality rarely reaches regular retail as most of it is consumed for high end fine jewellery. 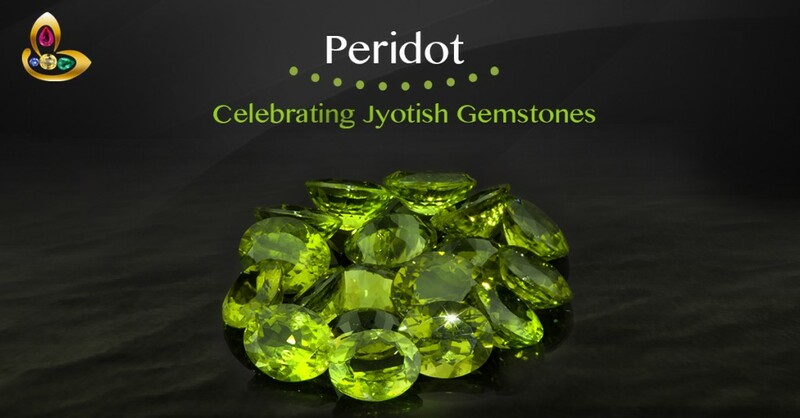 – All natural, treatment free earth mined Peridots from China. – Free from any flaws as listed in sacred texts making them true Jyotish Gemstones capable of delivering promised results. Certification and appraisal of these lots are complete and they are currently under the photography and the videography division. You shall be able to purchase them online in the next 14 days or earlier. A True Jyotish Gemstone is not accessible to the average Joe on the street because a Jyotish Gemstone is a very special gemstone having the powers to affect a Karmik Life Map in a positive manner. 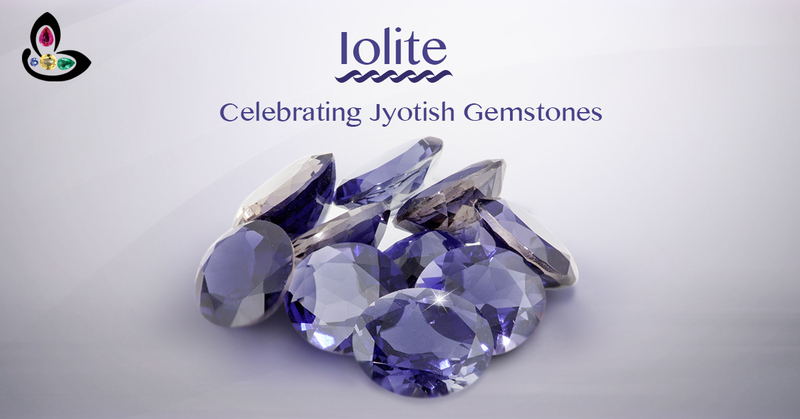 A Jyotish Gemstone has special features that are not available in all the gemstones. If Jyotish Gemstones would be easily available or if Gem Therapy was so easy everybody would just slip on a gemstone ring/ pendant and forget about the worries in life. Unfortunately, it does not work this way. One of the most commonly used terms amongst Gemologists is that good gemstones have” Life”. What is this life actually as the stone is just an inanimate object made of some chemical composition. Does this term” life” refer to its beauty-external or internal or its ability to touch human consciousness at a deeper level and cause an emotional response. This emotional response maybe pleasurable, of gratitude, love or just simply being overwhelmed by beauty, antiquity and rarity. There can be many different viewpoints on this but this matter is better felt and experienced rather than explained in words. Real Gemstones have life and they move you emotionally. A True Jyotish Gemstone is your most intimate friend. Before one even thinks of understanding Jyotish Gemstones one should first ascertain whether a gemstone is precious, durable and rare. If it is these 3 things then special features that make a gemstone to be a Jyotish gemstone such as the preferred color shades, degree of lustre, degree of purity, lack flaws as listed in the sacred texts may be applied to find if a Gemstone is a true Jyotish Gemstone. Planetary Gem Therapy only works with real Jyotish Gemstones and just being natural and untreated does not make a gemstone into a Jyotish Gemstone. Treatment None, fully Natural. None, fully Natural. None, fully Natural. Comments The write up speaks of “Life in a Gemstone” and you can view this in action in this circle of life pendant. 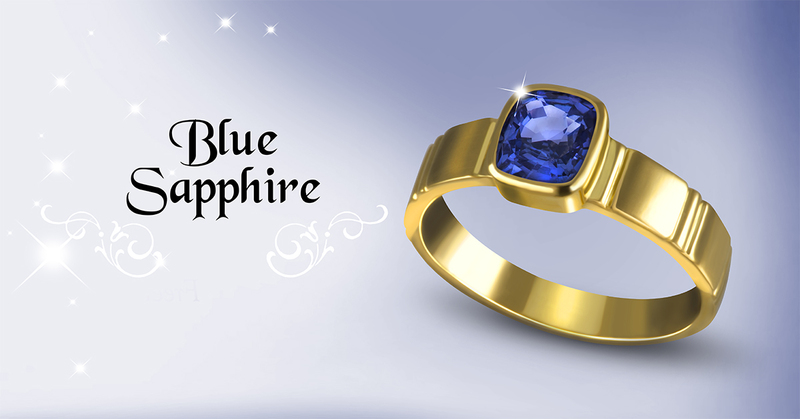 View the purity, lustre and high degree of color saturation in the Blue Sapphire. Silky blue with violet overtones it is one of the most preferred Colored shades in a Sri Lankan Sapphire.Expert faceting ensures that it matches the Diamond in its brilliance and aura. Feel the movement of light through the rich verdant green of the Colombian emerald. View all 3 gemstones on a bed of gold and see” life”. This is what makes Jyotish Gemstones so special, so rare and so miraculous.If in life you are in a situation to obtain a Jyotish Gemstone the first thing to watch out for is” Life”- Does the Gemstone say something to you? To view The Blue Sapphire before it was set please click here. To view the Emerald before it was set please click here. 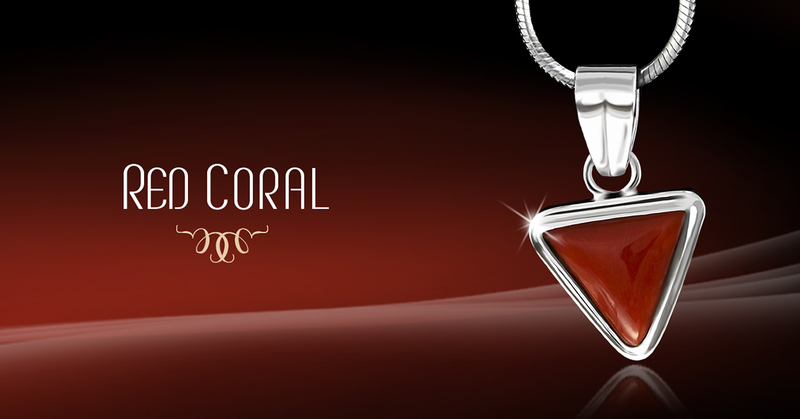 Red Coral is the gemstone of Mars as per Vedic Astrology. Commonly referred to as Moonga or Munga in Hindi, there are many other names by which this gemstone is famous. Angaraka Mani (The Gemstone of Angaraka-Another name for Mars=Mangal), Mani Means a precious gem or a jewel.